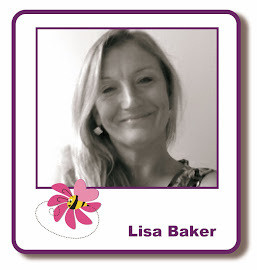 *This post is part of the October promotion fortnight. Today I have a Holly tag to share with you. 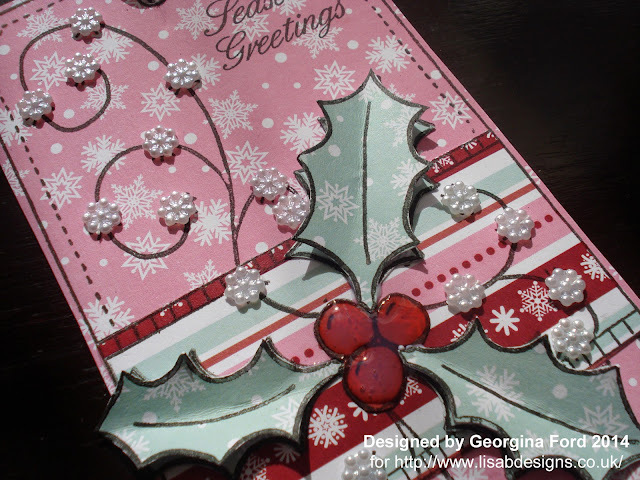 The Holly Tag is a stamp from my Designs by Georgina range which is available from Lisa B Designs. 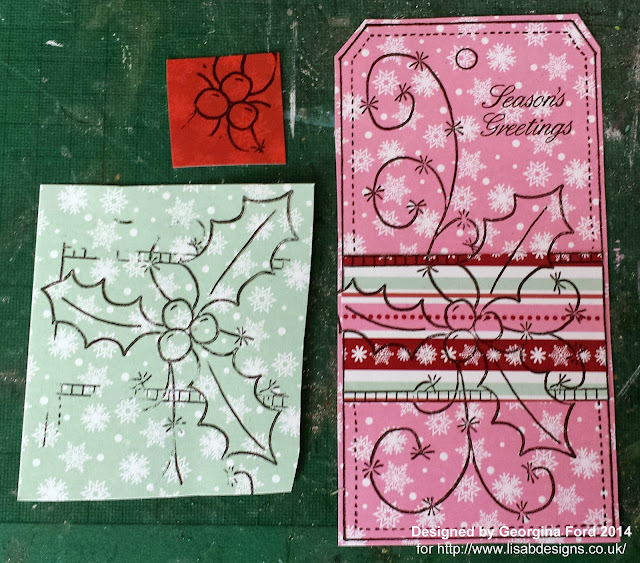 To make the tag I started by stamping the Holly Tag stamp onto Hobby House patterned papers with a VersaFine ink pad. 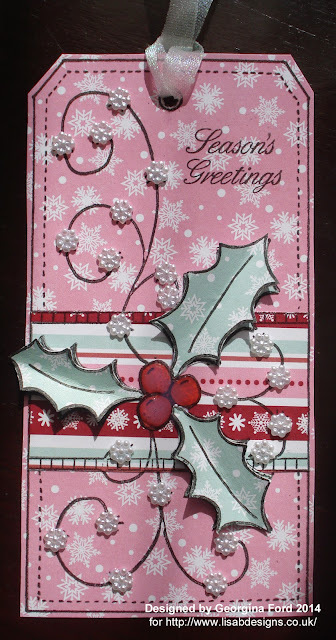 For the holly berries I used Red Cascading, for the strip centre sections I used Stripe, for the leaves I used Aqua Flakes and for the whole tag I used Pink Flakes paper. I cut out all pieces and attached them to the Pink Flakes tag. I added single Mini Flowers pearls from a Pearl String to the swirls on the tag. To finish I added Glossy Accents to the berries. That's a lovely stamp. I love your range. Pretty in pink. Beautiful tag. 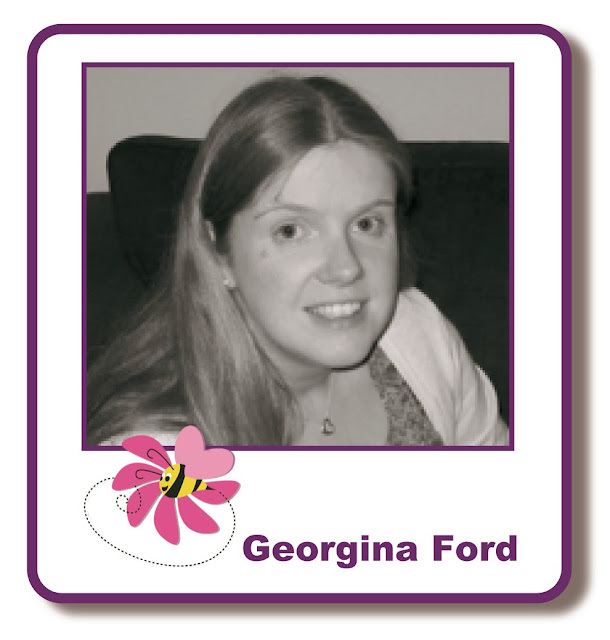 Lovely paper piecing and love the pearl flowers. I' m sure everyone would love to receive a present with this tag tatty he'd to it.